Visitors come from around the world to experience Utah’s unparalleled wilderness, highlighted by a bounty of national parks. Red rock monuments, winding canyons, and towering trees are just a few of the sights you’ll see during your adventure through these fantastic lands. Summer brings tourists and warm weather, but Utah’s National Parks in winter are full of solitude, adventure, and surprisingly pleasant temperatures. For more insider information on the best places to see, things to do, and activities in the area, request access to our free Southern Utah Vacation Guide! Find Your Favorite Winter Cabin! A tour of Bryce Canyon National Park is a surreal experience. Sitting just 30 minutes from your Family Time Vacation Rentals cabin, this national park packs just about every natural wonder you can think of into one area. The winter brings slightly colder and tougher conditions than the summertime, but the lighter crowds and quiet peacefulness makes it well worth the visit. Hike from the top of the canyon down through the world’s largest concentration of towering hoodoos (weathered rock forming a tall, smooth, fin-like rock structure). If you want to see the mystic landscapes without getting too cold, take a drive through the park and make a couple of stops for amazing views. Tip: Make sure you bring appropriate clothing for your visit as it can get very cold, especially in shaded areas and in the evening. Zion National Park offers stellar views and jaw-dropping landscapes. The vast, rolling canyons look as if they go on forever, with its steep walls and verdant valleys. There are plenty of great winter hiking options here, but make sure you check the national park service for safety warnings and closures. Bring your camera for some of the best photo opportunities in Southern Utah. A drive through this park in the winter is always comfortable, welcoming, and enjoyable. While temperatures can drop significantly at night, bundle up and stick around for some of the best stargazing you will ever see due to the lack of light and air pollution in the area. Tip: A portion of local stores and vendors close during the winter. Make sure you plan ahead and check availability before venturing anywhere. Cedar Breaks National Monument isn’t technically a true-blue national park, but it’s an easy five-minute drive from Brian Head and boasts some of the oddest and most striking scenery imaginable. This geologic amphitheater features a half-mile deep canyon with a variety of red rings along the walls. Winter brings excellent snowmobiling, skiing, and snowshoeing through the park. Stop by at night for a winter star party where you can learn about the constellations and mythology from the park staff. Dixie National Forest is 15 minutes from Cedar Breaks National Monument and centered between Panguitch, Brian Head, and Duck Creek Village. This prime location makes it the perfect spot for spending days snowmobiling through the towering trees, snowshoeing, and cross-country skiing. There are also some unique rock formations and arches around the park that are worth checking out. Your warm and cozy Family Time Vacation Rentals cabin awaits you after a day of exploring these magnificent national parks. 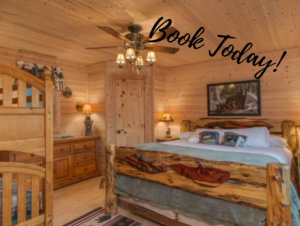 Our properties in Panguitch, Brian Head, and Duck Creek Village give you unique experiences and easy access to different areas, especially two of Utah’s Mighty 5 National Parks. Whether you rent a snowmobile to explore the backcountry or drive through the fabulous landscapes of Southern Utah, you’re in for an unforgettable experience. Check our availability to start planning your dream winter vacation today! 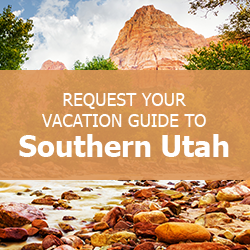 Don’t forget to request access to your free Southern Utah Vacation Guide!